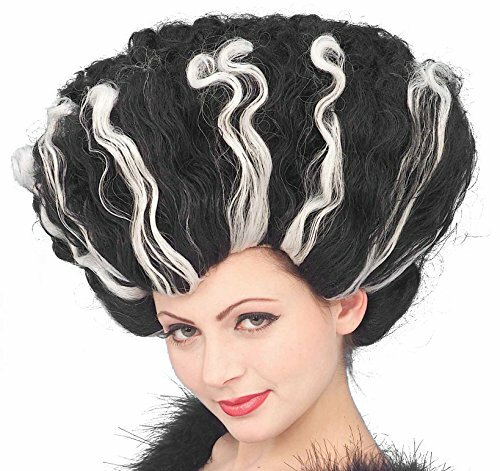 Don't turn me into a toad when you try out this closet witch jet black long hair wig. Pronounced widows peak and straight style. 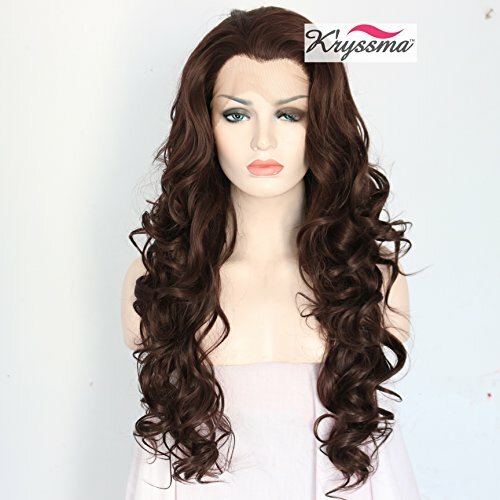 Perfect for costumes or a new you. Wig only. Flammable. Do not use, wear or store near open flame. 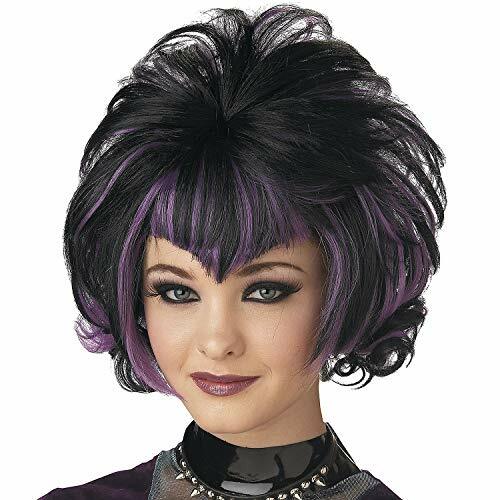 This black, purple wig is the perfect complement to a gothic Halloween costume. 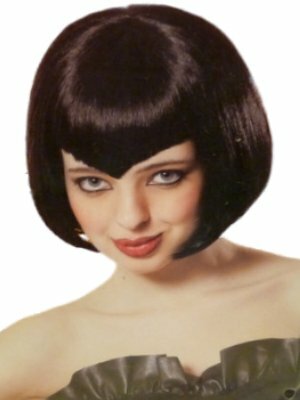 Widows peak wig in a traditional flip style. 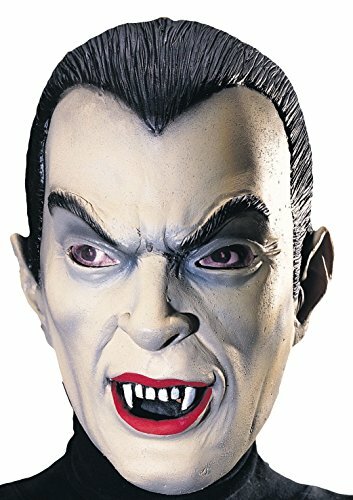 Great for vampire costumes and more. Special Shipping Information: This item ships separately from other items in your order. Made in the USA.